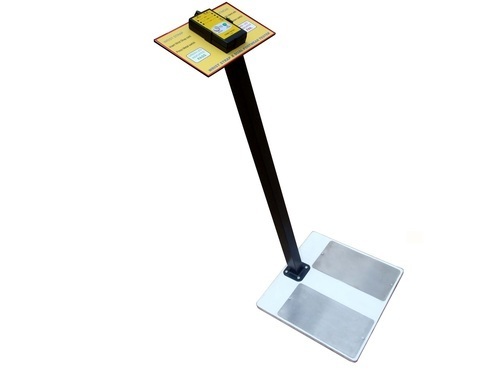 Leading Manufacturer of surface restivity meter, overhead static charge eliminator, continuous work station monitor, wrist strap tester, human body voltage checker and ionizer from Pune. 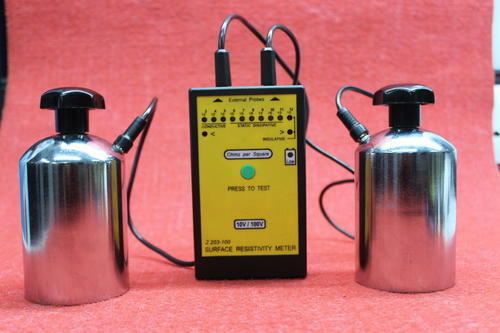 Surface Resistivity Meter offered to comprise battery operated meters that provide functioning as the portable instrument for measuring the surface resistivity of flat surfaces. These find use in the circuit industry for checking products like component storage bags, workbench surfaces, conveyor belts and others which come with resistance values and require meeting stringent specifications. Overhead Static Eliminator offered to find use in eliminating the presence of static electricity by neutralizing high static power as well as its shocking effect. Other than this, it also safeguards machines for damages due to static charges. Finding use across different industry sectors, these static eliminators also come equipped with a high voltage generator with the option of varying output. 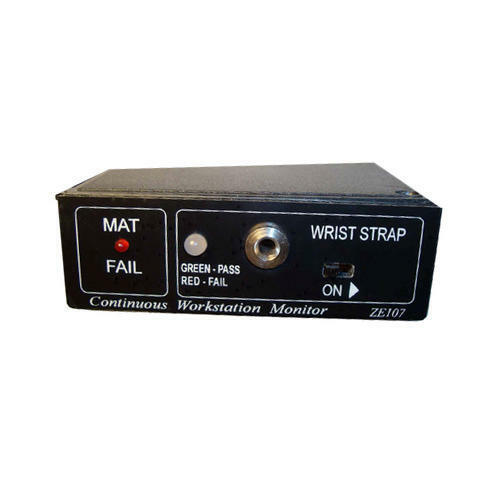 Continuous Work Station Monitor offered to comprise on line instruments that are mandatory to be used along with ESD assembly tables and provides caution alarm in case of disconnections to ground at any time while handling sensitive electronic components. Providing for continuous monitoring of connections of ESD wrist strap, shoe straps as well as the work surface, it works by instantly detecting loss of continuity between operator and monitor and alerting operator before any expensive damages can happen due to ESD discharge. 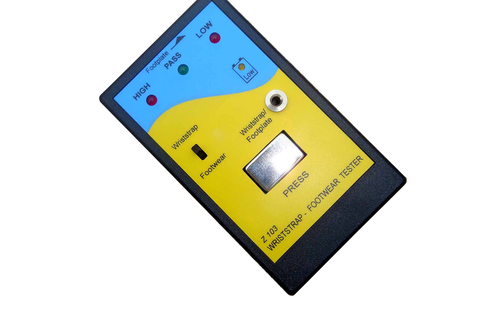 Wrist Strap Tester offered provides suitable safety against possibilities of electrostatic charges that build up in the human body. The system helps in testing wrist strap and footwear regularly so as to protect sensitive electronic components as well as at the same time protect the wearer from dangerous levels of voltage and current flow. Some of its features include testing the wrist strap and footwear under actual operating conditions, wall mounting provision, and others. This instrument is designed to measure the Static Voltages carried on a human body. It is a good auditing tool to verify whether Personnel entering an ESD safe area are carrying any hazardous charges on themselves. It can also serve to verify whether all the ESD protection measures which have been taken to make a particular area ESD safe are effective. By such measures, we mean conductive flooring, antistatic table mats, wrist straps, static shielding bags, ionizing equipment, conductive containers, and bins, etc. 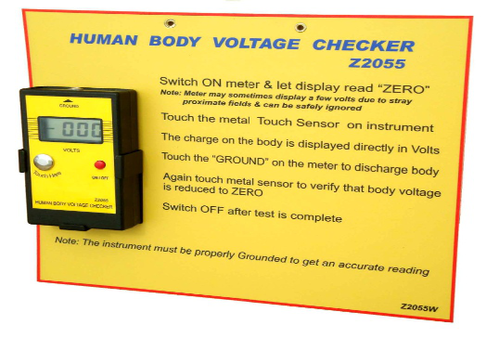 It is very simple to use and only requires the person under test to touch the Button on the instrument and directly read the charge level in volts on the meter. The generation and accumulation of unwanted electrostatic charges, both surface and airborne, poses a serious problem in various industries and laboratories. For instance, static charges can create havoc with sensitive equipment and electronic components. 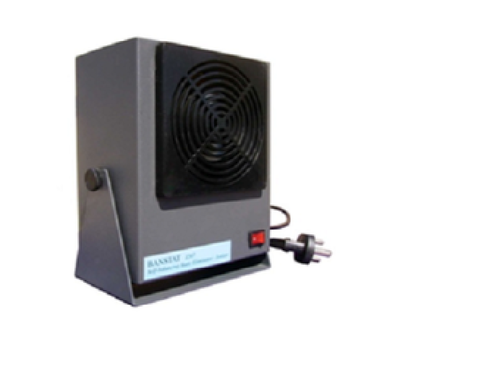 This Bench Top instrument is designed to neutralize your ESD work-station or ESD protected area with a stream of ionized air. It does what Wrist straps and Conductive mats cannot do - i.e. remove static charges from non-conductive objects and surfaces. It is able to rapidly neutralize potentially dangerous charges in a localized area. 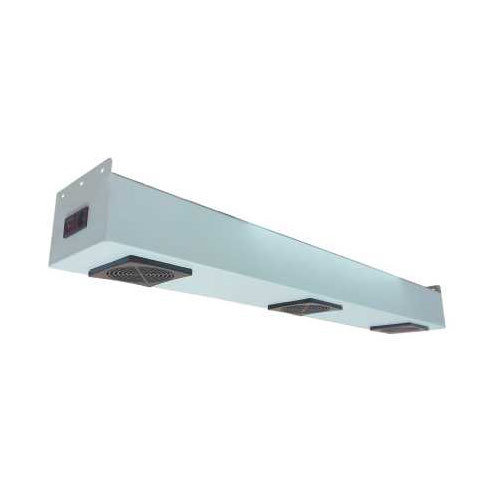 An axial fan gives the desired air flow to neutralize static on specific objects rapidly, as well as control static in the general area in front of the ionizer. This is a powerful, trouble-free and compact solution to static control problems anywhere. The unique high-efficiency ionization pulse circuitry provides fast discharge with minimum air flow. High air flow would lead to operator discomfort and may also disturb small components. This static eliminator works on the principle of high voltage corona discharge to produce the neutralizing ions. It is designed for continuous use and a current limiter circuit ensures operator safety even if the ion emitters are accidentally touched. The Z207 has special circuitry to ensure a balanced ion output. This ensures that no net charge is induced by the ion shower. Balance is maintained irrespective of supply voltage and even if the discharge electrodes are dirty. Balanced output is essential when used in ESD protected areas. Recommended Air Pressure 15 to 100 PSI. Clean, dry air. 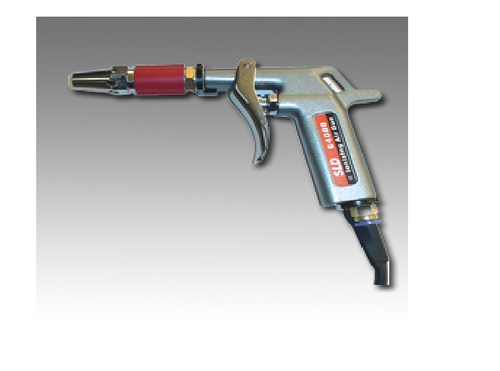 The Ion Air Gun along with it’s HV Power Supply and Air Compressor forms a system which is designed to neutralize static charges up to a distance of 1m. (Air Compressor and air hose not supplied by us) It removes static, contaminants and dust from flat surfaces as well as solid objects prior to assembly, packaging, painting, and finishing. This makes the GS4000 an effective local area cleaner. It gives a self-balanced ion output which is suitable even if the air is to be blown onto critical electronic components, open PCBs or assemblies. This ensures that no residual charge of either polarity is left over. The GS4000 incorporates a High-Velocity Air jet and electrically charged emitter points. The compressed air passing through the gun gets ionized and this ion rich air is capable of neutralizing static charges very rapidly. The air flow can be easily controlled and regulated from a gentle breeze to a high blast, by squeezing the trigger. Note: Do not use near flammable gases, vapors or materials. Looking for “ESD Test & MeasurementsInstruments”?